When it comes to buildings on the University of Iowa campus, everyone knows the English-Philosophy building is NOT a favorite. It's one of the oldest and, frankly, one of the ugliest. 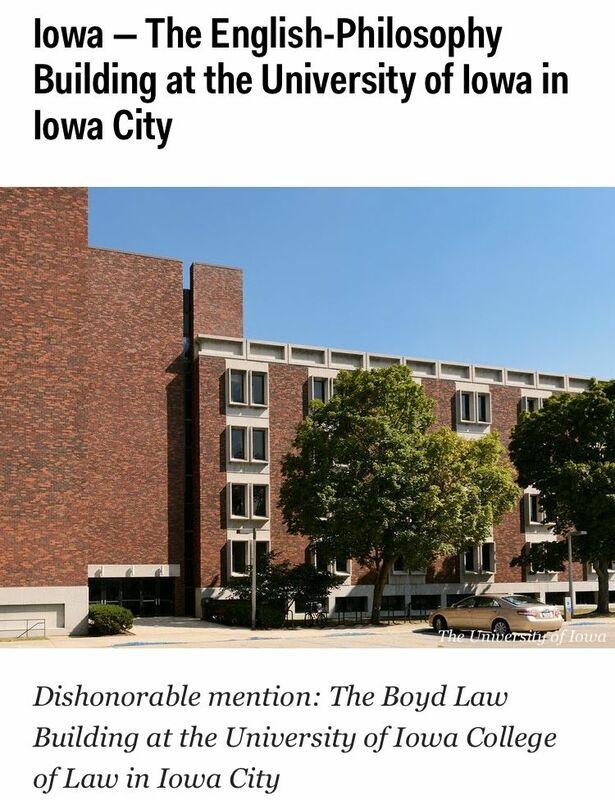 Even Business Insider knows, rating EPB as the ugliest building in the state of Iowa in an article published in January! Compared to buildings like Shaeffer Hall and the Adler Journalism and Mass Communications Building, EPB falls short when it comes to having character and cool high-tech features. Despite all of the bad qualities students know EPB by, like the uncomfortably hot temperatures and the building's odd shape, in reality, EPB isn't all that bad, it's just ugly. "The reason it was voted one of the ugliest buildings, I believe, is because we are probably the only building on campus that every student goes into except for the IMU," said Kate Torno, an academic advisor in the English department. 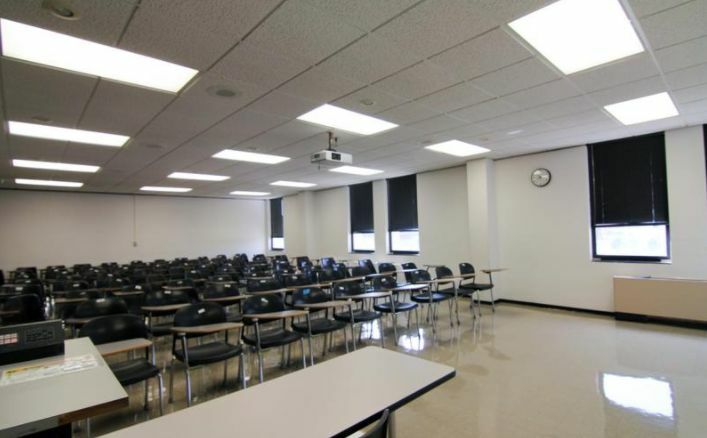 As part of UI's general education requirements, students of any degree have to take an interpretation of literature class, as well as a rhetoric course. That means all students have to spend at least one semester in EPB. During the academic year, over 20,000 students walk through EPB's hallways each week. "When I went to school here in the 80's, EPB was very dark and there was no furniture in the hallways," Torno said. "I remember just not being eager to spend more time here than I needed to, but even then I thought the classrooms were fine because I remember sunshine in the classrooms and I remember the faculty being very interesting." "So, I never had a problem during my classes, but I remember not liking the hallways or the exterior." Since the 1980's, EPB has gotten a little love. Tables and chairs have been added to the hallways to give students a place to study and wait comfortably for their classes. More lights have been added to the hallways to brighten the interior. Even now, EPB is still being updated. All of the bathrooms, notorious for being gross, are being renovated. 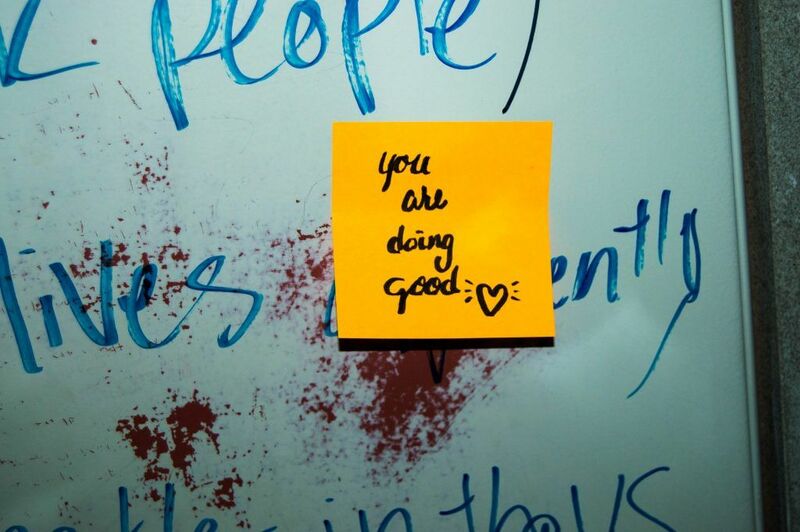 Say goodbye to EPB's famous bathroom stalls full of bits of wisdom, poetry and graffiti from students! The problem with renovating EPB's bathrooms during the school year, however, is all the noise from the construction. Some EPB faculty and staff are concerned that the noise is distracting students during classes. "The construction is not conducive to learning and for the amount of money students pay for tuition, it does not seem fair to them to present such barriers to learning," said Andrew Jones, doctoral candidate for the counseling psychology program. The workers doing the renovations understand that learning takes place in EPB, and are known to take breaks upon request if the construction is too distracting. With all the new updates, it seems like the only thing that's missing is a space for students to mingle and study in. The closest thing EPB has to a study space is the Gerber Lounge on the third floor, but it definitely doesn't function as a place for students to hang. The lounge is mostly designed for club meetings or a space to have small events. If students want to use it, they need to reserve the space for the evening. "It's the building everyone loves to hate," said Stephen G. Bloom, a professor of journalism. "But I like it. EPB can accommodate a slightly larger class. Adler can't hold more than maybe 58 students in a classroom, but I teach a class of 60 and EPB is the closest place for a group of that size." EPB is the spot for smaller classes, like discussions or workshops. 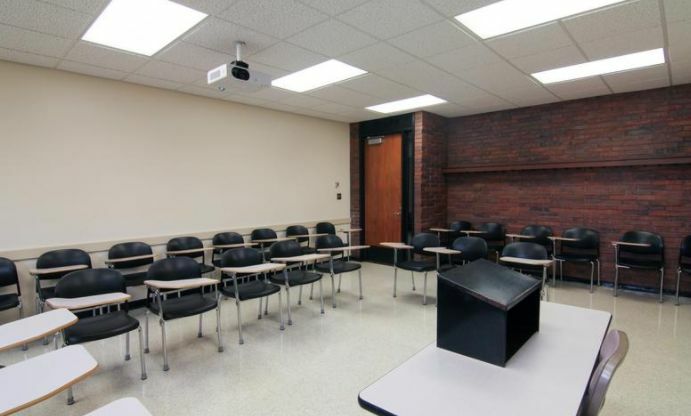 However, there are a few places on the first and fourth floors that allow for class sizes that are not as small as a discussion and not as large as general education lecture. Unfortunately, those classrooms are uncomfortably warm. "Everyone complains about the temperatures in the classrooms," said Blake Bronson-Bartlett, a visiting assistant professor of English. "Some rooms get very hot, but this problem has as much to do with the fluctuating temperatures in this region of the country as it does with heating problems." Between the construction, heat and the ugly interior and exterior, it's safe to say that EPB may not be everyone's favorite building, but it's value can be found in those who work there, not the atmosphere they work in.